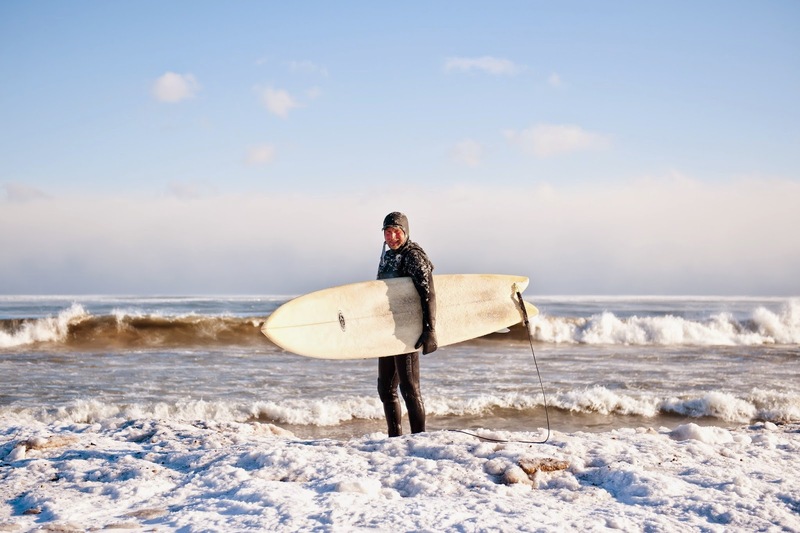 Great Lakes Originals: A peek into the lives of influential, interesting, and/or eclectic surfers who call the Great Lakes home. 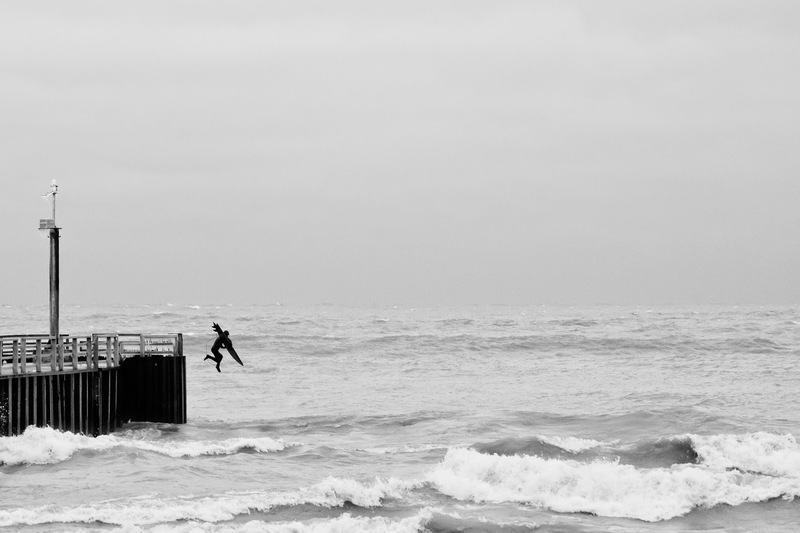 This time, we dig into the archives for a 2015 chat with Chicago-based surfer, teacher, and photographer Peter Matushek. 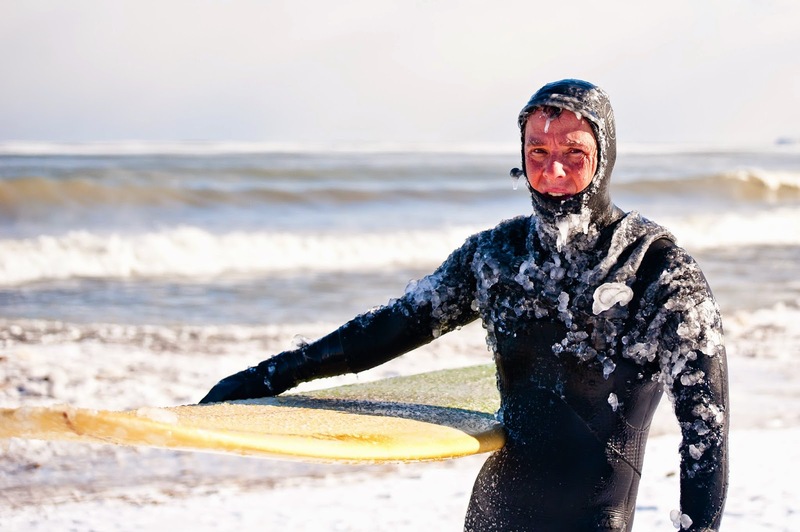 Peter Matushek is a high school teacher, photographer, and Southend Lake Michigan surfer. Peter grew up in Chicago and currently lives in the south suburbs with his wife Jessica, who is also a photographer. Peter and Jessica own Matushek Photography. And no, we didn't ask for the plug below...we're just stoked to be an enabler. What's your story? How did you get into surfing here? Surfing came around in my life at the exact moment it needed to be there. I was 28 years old, starting to get fat, depressed from getting riffed in the Chicago Public Schools, and uninspired about the 'road biking' phase I was going through. I remember being really bummed that summer (2008). It was like, "Alright...I guess this is your life." It all changed one Sunday reading the Chicago Tribune. They had an article in the Travel section about surfing Lake Michigan and this place Third Coast Surf Shop. I had always been fascinated with surfing since I grew up watching the movie North Shore. No idea why North Shore was on our television or why I was so intrigued by it, but it was destiny. I called Third Coast that day and set up a lesson for the following weekend. I stood up once during that first lesson. 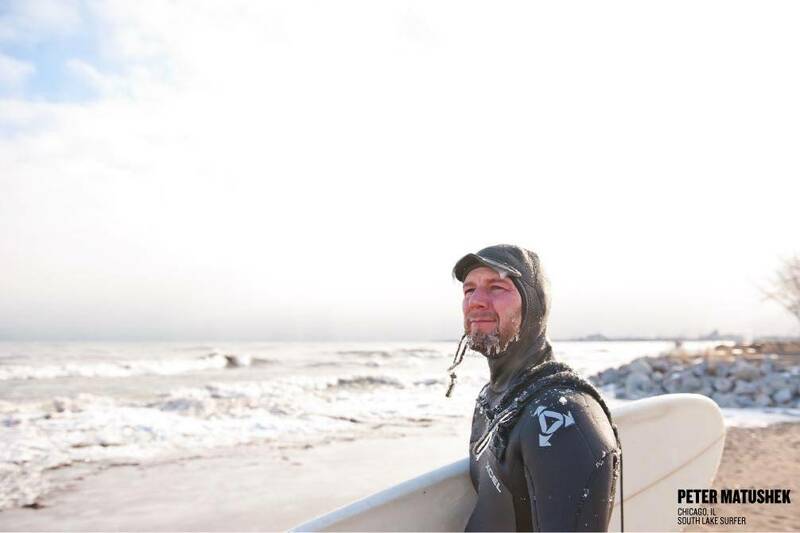 It is something I’ll always remember (and the fact that I put my wetsuit on backwards that day). I went back to the shop and bought an 8'6 McTavish and a 4/3 Rip Curl wetsuit. It was the first day of my new life, and I’m forever grateful to Ryan for taking the chance and opening Third Coast. I don’t know what my life would be if he didn't. I know you've surfed in saltier seas. 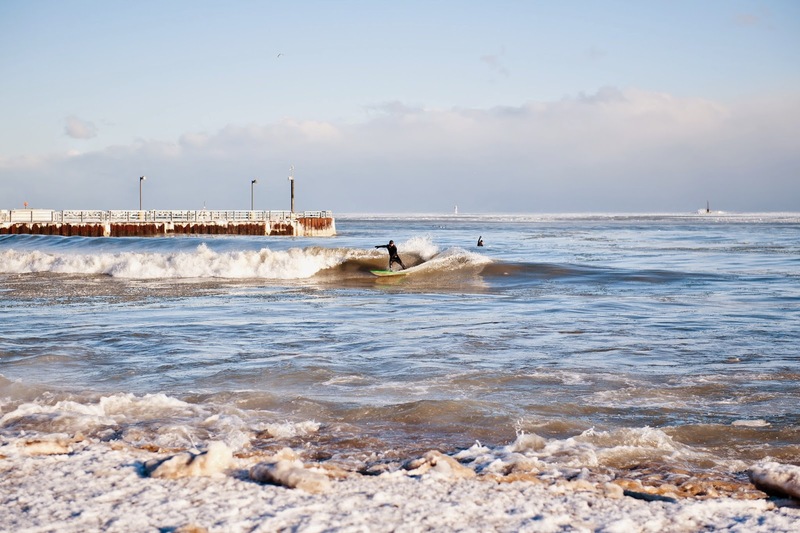 What is it about surfing Lake Michigan for you? We have to work for it out here. You see a swell coming three days out and you start to get psyched about it...and then it all goes to crap more times than not. I think those missed/crap swells add to the rage that builds for a good surf. It's childlike excitement that I think most adults don't ever get to feel. I absolutely love the process of waiting and then going all out once it's here. I take days off work. I cancel hangouts. I wake up at 4:30am. Everything else just disappears. It's like life just strips down to a basic happiness. When I take trips to the ocean, it's a totally different feel. I mean, you can surf just about every day on the west coast. Can you possibly get raging excited every day? Maybe, I don't know, but I doubt it. And don't get me wrong, I love surfing the ocean. I've been to quite a few places and they all gave me fantastic memories, but nothing is like home. Our mostly crappy and sometimes amazing waves are my home. I love them. What about photography? How long have you been pointing the lens, and how'd you get started? I started photography when I was living in Philadelphia back in 2003. I was teaching and going to the University of Pennsylvania. My roommate at the time saw me screwing around with my old film SLR and bought me a gift certificate for a dark room class at a community art center for my birthday. I was blown away. If anyone ever has the chance to learn dark room development...do it. I ended up becoming a member of that same local art center so that I could use the dark room whenever I wanted. I was hooked. For two years that dark room was my second home. When I moved back to Chicago, I built a darkroom in my parent's basement on the south side and then one in my own home years later. It's been a couple years since I've taken any black and white film though, as digital became my new vehicle. But digital wasn’t an easy transition. The editing for the two types of photography are completely different, and it delayed my progression getting used to the computer software. After a few years though, the editing caught up. Jessica and I were bringing our cameras everywhere and posting pictures on Facebook. One day an old friend reached out to us to shoot his wedding and we accepted the job. That first wedding was 5 years ago and we’ve been shooting them ever since. We are Matushek Photography. Jessica runs it as her full time job and I come in to photograph on jobs. You've become friends with the South End surf crew...what do you enjoy about shooting surfing? I feel like my role has changed over the years. For the first two years of surfing I wasn’t very good. I was out every swell, but I remember getting constantly destroyed in the water. It was really depressing for me too. I wanted to be a good surfer, it just wasn’t connecting. So to steer my own attention away from me being a bad at surfing, I started taking pictures. It was the first time I started shooting digital. I look back at those photos now and cringe with my editing skills, but that was the re-emergence of photography for me. 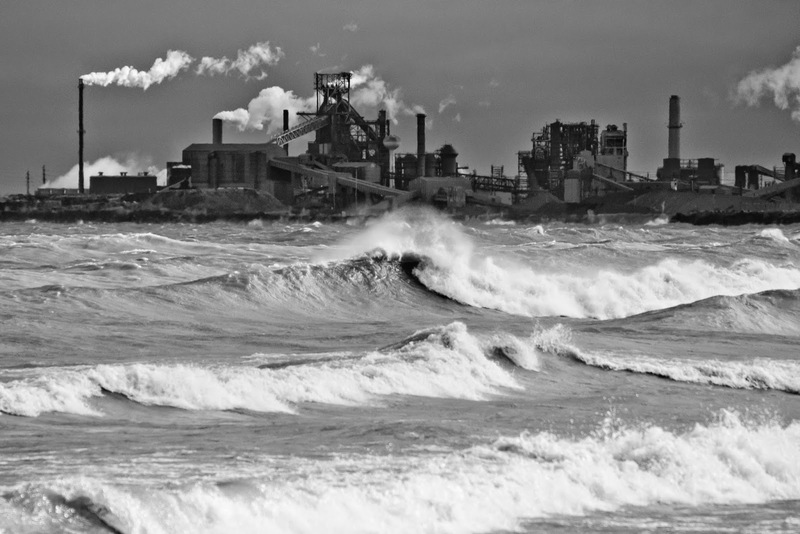 I had stopped developing black and white a few years before that, and surfing was now bringing me back. At first the pictures were solely about bringing me out of a depressing surf session. But over time, I started to notice the subtleties of surfing that one doesn’t see in normal time. I remember editing pictures of Terry Richardson, Brad Tunis, Jack Flynn, Bryan McDonald and Pete Lambert and finally recognizing when to do a hard bottom turn and when to hit the lip. Surfing finally started to make sense…and it was all through taking so many pictures of the Southend guys in the water. They unknowingly helped me progress. This was all capped off a couple years ago when Terry Richardson said something like “Peter, you were really bad for a really long time. Then one day you were good out of nowhere.” I always appreciated that quote. Nowadays my main goal is to surf. With running a photography business with Jessica, I don’t really want to edit more pictures than I already have waiting for me. But on good days it’s a different story. After I finish surfing, I could sit for hours and take pictures of my friends on the Southend. I get a good feeling knowing that my friends will have excellent pictures of themselves surfing. It’s what every surfer wants, so I’m really happy to do it. See more of Pete's photography at http://matushekphotography.com/ . They: "You guys are crazy for surfing there." 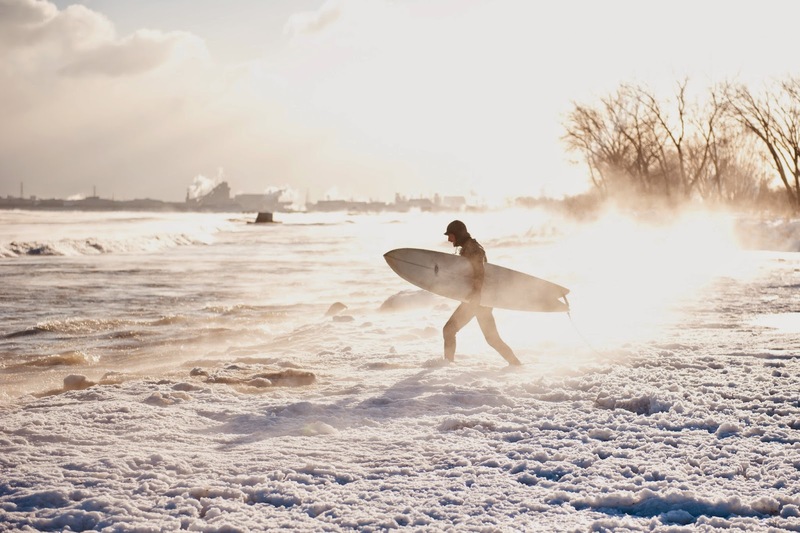 Us: "Yeah, we only surf in it. You drink it." Great article! Love the Matushek family! !